All week long, you can win extra prizes in the Cloudbet Casino. It couldn't be easier to take part, you just have to play. We’re always looking to do more for our players. So that’s why we’re bringing our most popular casino offers back, every single week. 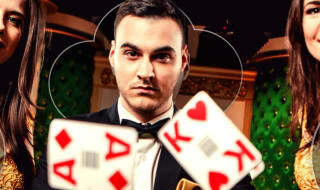 This is our guide to the Cloudbet casino promotions. You can take part in five special casino promotions every single week. From free spins to bonus winnings there’s never been a better time to bet at the Cloudbet casino. Here are the details of all our casino promotions. There’s never been a better time to play. Opt in every Monday and we’ll match your first deposit that day up to 25 mBTC. Just deposit 0.1mBTC or more and enjoy your deposit bonus. It’s as simple as that. Read the terms and conditions for Reload Monday. Prefer to play in Bitcoin Cash? Check out the Bitcoin Cash Reload Mondays page. Deposit funds and bet in our Live Casino every Wednesday to receive 10% of your losses from your first deposit back as a bonus. So place your bets and enjoy your bonuses. Find out more about Money Back Wednesday in our promotions hub. We’re not just rewarding our Live Casino players though. 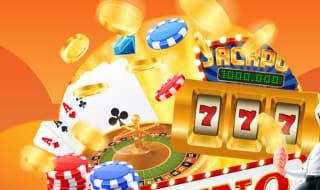 Anyone playing our slots, table games or anything else in our Casino on Wednesday gets free spins on Thursday. The amount you deposit and play through on Wednesday decides how many free spins you get. We’re just getting started. Over the weekend, things get even more exciting. 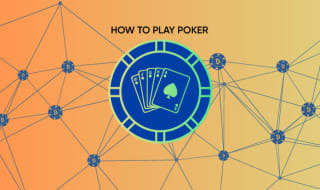 Will you be the Cloudbet Table King? Any time you beat the dealer from your first deposit in our Live Casino, you’ll earn points for the Table King leaderboard. If you win more, you’ll earn more points. Each Sunday, the top 10 players from our Live Casino will win a share of 250 mBTC. Just spin the wheels of our selected slot games over the weekend to be in with a chance to win even more spins. We’ve got a prize pot of 1000 free spins to give away to our casino players. The more you stake, the higher you’ll be on our leaderboard. Check out the list of eligible games and the current leaderboard on our Free Spins Tournament page. Not sure which games to play? Make sure to check out our other casino articles to learn winning strategies, gameplay and much more.